Rachel Zatcoff (who made her Broadway debut as Christine Daae in Phantom of the Opera and appeared in the New York City Opera debut in Candide) stars as Tevye's oldest daughter Tzeitel in the US-premiere of Fiddler on the Roof in Yiddish at off-Broadway's National Yiddish Theatre. The acclaimed new production, translated by Shraga Friedman and directed by Oscar and Tony winner Joel Grey, runs through August 26, and has subtitles so that English-speaking audiences won't be lost. 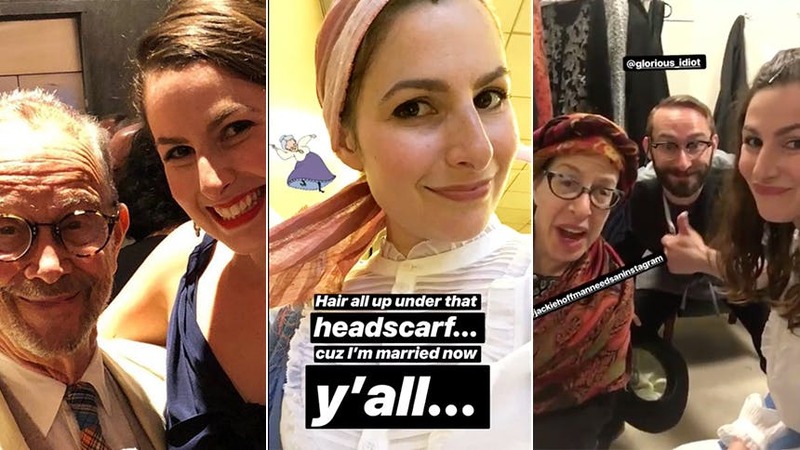 Rachel recently took over the BroadwayBox Instagram on July 15 to bring us along backstage for the opening night performance of Yiddish Fiddler and to the fabulous post-show party. Check out Rachel Zatcoff's day in the video below, and don't miss her live in this one-of-a-kind Fiddler on the Roof.